I was born with a raised birth mark on my face. I never got used to having that birth mark right on my face and it made me feel very awkward about how I looked. As I was growing up, I resented my face more and more. That single birth mark made me feel miserable about my life in general. Though I knew that there were skin surgery treatments available for birth mark removal, I always got petrified at the thought of undergoing any type of skin surgery as I thought it would make my case worse. Being in a constant state of distress and fear I finally decided to take the plunge and see a skin specialist or a cosmetic dermatologist. I read reviews about various dermatologist and specialist across Mumbai in the hopes of finding the right one for myself. For some reason, I chose to go to Dr. Rinky Kapoor for the removal of the birthmark on my skin. The reviews spoke at length about her expertise and experience as a renowned dermatologist in Mumbai. I went to Dr. Rinky Kapoor and I have to admit that despite my apprehensions visiting her was the best decision I ever made. 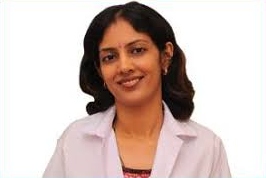 Dr. Rinky Kapoor is one of the top dermatologists who has handled thousands of cases till today. She not only does non- invasive surgical procedures but also performs various cosmetic surgeries as well. On my birth mark, she said the best option would be laser removal that is not a surgery but a non- invasive procedure. I underwent laser treatment and got the top services at her clinic in Mumbai, India. I can vouch for her skin treatments and that her clinics are the best in India. The reviews about Dr. Rinky Kapoor could not be truer and I realized that laser treatment is not only safe but the recovery downtime is pretty quick as well. At the Esthetic Clinics in Mumbai, you will get the best services of dermatologist, skin specialist and cosmetic dermatologists. They have the top of the line equipment and post- procedure services to take the best care of their patients. If you are reading this review chances are that you are on the lookout for a cosmetic dermatologist in Mumbai, do not hesitate and visit Dr. Rinky. And once you are done with the services, write a review so that you can be help to others in need. After a terrible burn accident, I ended up having severe burn scars on my forearm. The scars were bold and unsightly. Since the accident happened years ago when I was very young, the doctors had to let my hand heal on its own and no scar revision surgery could be performed on my arm. As I grew up I wanted a scar revision surgery and for that I had to choose a skin specialist or a cosmetic dermatologist for myself. Now since many dermatologists had already chosen to not treat my case I was almost about to give up when I finally decided to give a last shot to Dr. Rinky Kapoor whom people said was the top skin specialist and cosmetic dermatologist in India. She practices in Mumbai and deals with skin grafting surgery amongst many other procedures. Skin graft surgery was the only option for me as the scars were big and bumpy. Though the surgery in itself was a little scary, I had the reassurance of being in the hands of the top dermatologist in Mumbai. I underwent the surgery and once the surgery was done the review of the scar was done in the follow up to the surgery. Dr. Rinky Kapoor is definitely one of the best skin specialist and cosmetic dermatologist in India and I would definitely recommend her name to anyone who is in the need of all types of skin treatment.